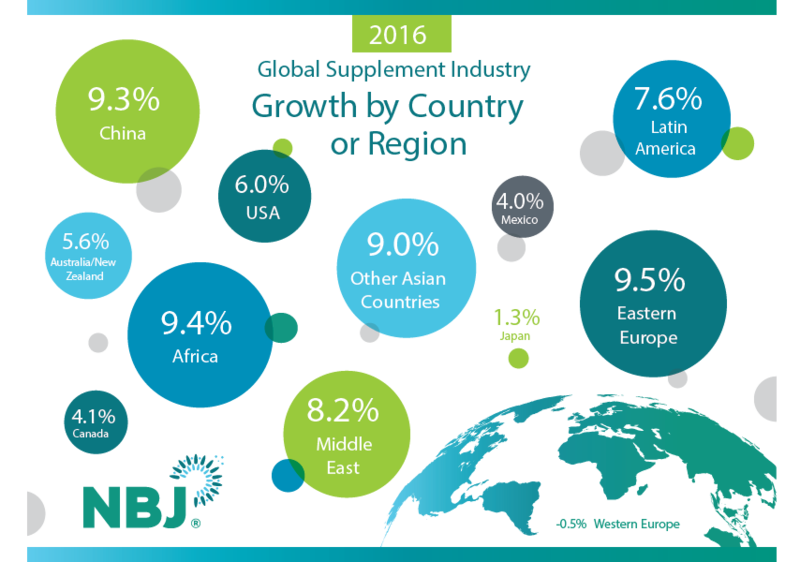 Where in the world are supplement sales growing? The $121.2 billion global supplement industry is growing faster in some regions than others. This infographic shows where growth is occurring (and where it's not). In Nutrition Business Journal's 2017 Global Supplement Report, various factors that affect the landscape are evaluated—regulations, traditions, global trade agreements and more. Bureaucracies and trade law are different everywhere, adding another layer of challenge to a market that grew more than 5 percent in 2016. We illustrated the growth of each region highlighted in the report in the infographic below. Fill out the form for the charts used to create this, and purchase the report in its entirety here.